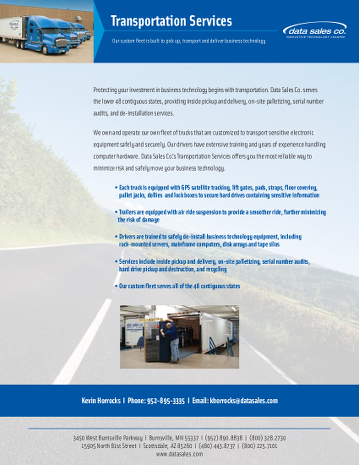 Protecting your investment in business technology begins with transportation. 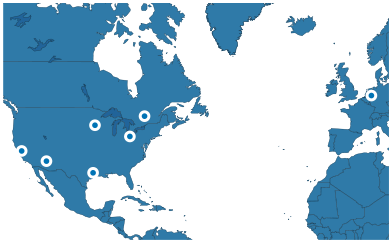 Data Sales Co. serves the lower 48 contiguous states, providing inside pickup and delivery, on-site palletizing, serial number audits, and de-installation services. We own and operate our own fleet of trucks that are customized to transport sensitive electronic equipment safely and securely. Our drivers have extensive training and years of experience handling computer hardware. Data Sales Co.'s Transportation Service offers you the most reliable way to minimize risk and safely move your business technology. Want some marketing info? Click here to receive our white paper!